Having recently reviewed Kenwood's Excelon X1200M and after being so impressed with it, I was glad to see the Excelon XR-4S on my doorstep. I’ve been a believer of their receivers for years- I want to use the best. And that also is the case with amplifiers. I really push my amps, so I have turned to Rockford Fosgate in the past. But with the performance of their Excelon Gouriki X1200M sub amp in my recent review, I was excited to see how their Excelon XR-4S would performed. Let’s start off with features and specs. The XR-4S is a Class D full range digital amp. What this means is that it will make the most of your electrical system, with lower current demands. That means that it will be a good performer on a stock electrical system, and even more so than other manufacturers using Class AB designs. Amplifiers produce two things – power and heat. Class D amps are highly efficient, meaning they produce high power with lower waste (heat). Construction is quite good for the Excelon XR-4S. It is an elegant looking black aluminum exterior, with a top plate that is removable and can be rotated so the logo can be right side up depending on how you have the amp mounted. From the current orientation, all of the connectors are on the bottom, which can be very convenient, and are gold plated. All of the controls for crossover frequencies and the gains as well as the internal fan are located on the top. There is also a small mesh vent on both sides to help airflow keep the amp cool. The Ken wood Excelon XR-4S also has plenty of features to give a delicious sound. Using a dual Power Supply helps give the power needed, even under demanding conditions. They also work together, which helps provide more stability. The Dual Sigma Drive utilizes a negative feedback loop circuit. This works to eliminate unwanted speaker movement, thereby lower distortion and give more accurate bass. There is also a built-in variable crossover, high pass and low pass filters for 2.5 – 10kHz and 50 – 200 Hz ranges at -12 dB/oct. I also can’t forget the Bi-Amp feature for use with component speaker systems. In addition there are dual gains, one for the front channels and one for the rear channels. The Reference Fit also gives it one of the smallest footprints in its class. This is done thanks to its small size design. A high density mount circuit board and highly effective heat dissipation help to keep down the size. An enhanced air cooling and heat control system does their part to make the design a reality. All this together gives us an amplifier solution for car installations where space is limited. It's small, but has some good heft to it, and packs a real punch! Now it’ s time to take the design to the test. Let’s see how all this work actually transforms into sound. I first went to one of my favorite discs, Sound & Vision Magazine’s SACD Sampler. Why Are People Like That, was very clean and smooth, and natural sounding. Noise was extremely low. The harmonica was very dynamic, with great pitch definition. On the same disc is Don’t Ever Let Nobody Drag You Down. It has wonderful vocals that come out beautifully, especially the female who can really wail! The vocals were clear, piano was natural, and percussion was crisp and detailed. No Doubt: H ella Good, sounded amazing. It provided excellent channel separation, and definition. It is easy not to associate resolution to this type of music. Resolution is usually associated with classical or orchestral type music. But with all the instrumentation going on, the Kenwood Excelon XR-4S provided it. Justin Timberlake: SexyBack also sounded great. It provided excellent dynamics in the snaps, and clear vocals. And thanks I’m sure partly to the XR-4S Dual Sigma Drive, the midbass was also detailed, controlled, and did not sound muddy. Going fr om Class AB to Class D, the Class D can sound a little strained. But I found that the Excelon XR-4S sounded full with plenty of reserves. Just crank up the volume and you will see for yourself. While I don’t think the output is quite what a similar rated Class AB amp is, it seemed so close I didn’t miss it at all. And at the same time, what I won’t miss is the extra space or currant demand that a larger Class AB amp will take. The sound overall was very clean, detailed, with plenty of resolution. Everything I threw at it sounded won derful, and gave me goose bumps! The imaging was also great, and the XR-4S provided a nice sized soundstage. Kenwood saves the Excelon label for their best gear. The XR-4S is deserving of it. I’m glad to see that the quality I found in the Excelon X1200M is also in the Excelon XR-4S. If you are in the market for an amp, I would highly suggest the Kenwood Excelon XR-4S be on your short list to check out. 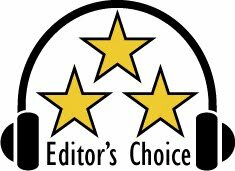 So much so, that the Excelon XR-4S has earned our Editor's Choice award! Congrats! For more information and complete specs, check out their website at: www.kenwoodusa.com .